Damiana: Does It Have Proven Weight Loss Effects? 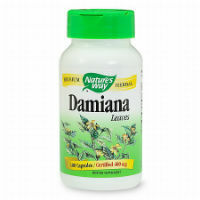 Damiana is an herbal ingredient that often finds its way into nonprescription diet pills. Though it has been used on its own, it is also often combined with other substances, such as yohimbe (yohimbine), yerba mate, and guarana. This substance goes by a long list of different names, which also include: damiana herb, turnera aphrodisiaca, thé bourrique, feuille de damiana, hou mexicain, mizibcoc, herba de la pastora, oreganillo, old woman’s broom, rosemary and others. The substance, itself, comes from a wild shrub that is native to Central America, Mexico and the West Indies. It is the leaf and the stem of the plant that are used medicinally. In traditional medicine local to the areas where the plant grows wild, it has been used for boosting sexual desire. That said, it has also been used in supplements and other types of treatment for depression, headache, bedwetting, constipation, nervous stomach, prevention and treatment of sexual problems, and for increasing physical and mental stamina. There is a record of usage of this substance for a mild “high” that it can cause. 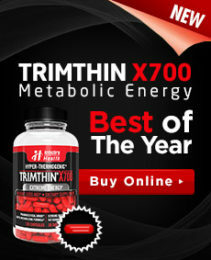 More recently, it has started to find its way into weight loss formulations. That said when it comes to any of those uses, there has been insufficient medical evidence to support the use of damiana. While early research had suggested that combining a specific amount of panax ginseng, American ginseng, vitamins, minerals, and L-arginine with damiana may help to improve sexual satisfaction, and decrease certain sexual problems, that is the closest that the ingredient has ever come to being proven to do anything with a medical benefit. Early weight loss research did indicate that a specific combination of guarana and yerba mate with damiana may help overweight people to reduce their overall body weight, but that evidence is extremely limited and preliminary, and there hasn’t been anything to bring it into the level of proving that it will work effectively. When taken orally in foods, this ingredient is considered to be likely safe. That said, it is only possibly safe when it is taken orally in a supplement in medicinal amounts. That said, when using more than 200 grams of damiana, very strong side effects have been reported, such as convulsions and other symptoms that are comparable to those of strychnine poisoning or rabies. It is highly recommended that anyone considering the use of a product containing damiana first speak with a doctor.